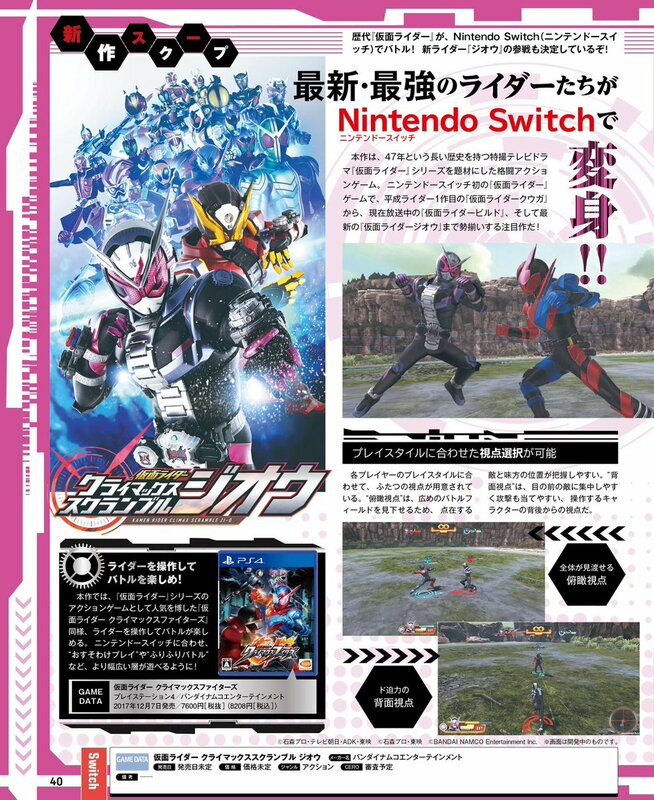 Earlier this week, there was an announcement for a new 3D arena fighting game in the Kamen Rider Climax series entitled Kamen Rider Climax Scramble Zi-O which will be released for the Nintendo Switch. The roster for the game currently features 22 playable characters featuring the main Heisei era Kamen Riders from Kuuga to Zi-O with the additions of secondary characters Kamen Rider Cross-Z and Kamen Rider Geiz. 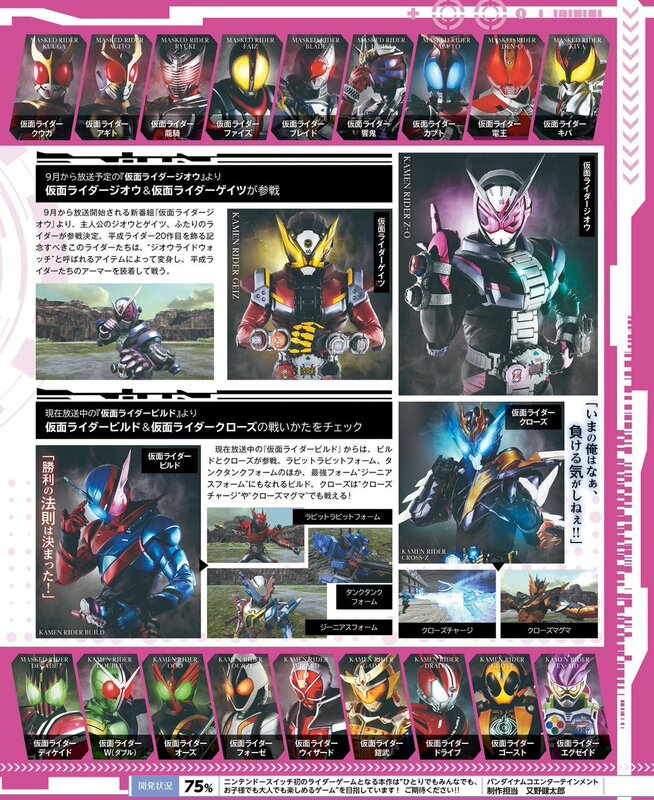 Characters like Build and Cross-Z will have access to their form changing abilities, such as RabbitRabbit/TankTank, Genius Form and Cross-Z Magma respectively. The game will also feature a Free Battle mode to allow for players to try out any of the available characters, and will allow for a choice of top-down or behind-the-back camera angles. Starting in 2009 to coincide with the release of Kamen Rider Decade, Kamen Rider Climax Heroes was released on the PS2 in Japan. Additional games for the Climax series have been released on the Sony PSP and Nintendo Wii, with the most recent installment released in December 2017 for the PS4 entitled Kamen Rider Climax Fighters. While not made available for sale in the U.S., the game did have an English language version that could be imported from other regions. No release date for the game has been announced as of yet. Kamen Rider Zi-O will begin its broadcast on September 2nd.